Over the past few weeks the Central City Library has been host to two talks in a series of events to mark the 400th anniversary of Shakespeare’s death in 1616, with two more events scheduled. In conjunction with the Pop-up Globe we have had some outstanding speakers who have brought a range of perspectives and expertise to these events. For those who have missed it, the first talk, Shakespeare from page to stage, has been uploaded to the Auckland Libraries YouTube channel. See Miles Gregory, Artistic Director of Pop-up Globe and director of Twelfth night, Professor Tom Bishop from the University of Auckland and Ben Naylor, director of Romeo and Juliet in conversation with Auckland Libraries’ own Iain Sharp. The second talk, Raising the second Globe Theatre, saw Tim Fitzpatrick, Associate Professor of Theatre at the University of Sydney, and David Lawrence, Associate Director Twelfth night, in conversation. 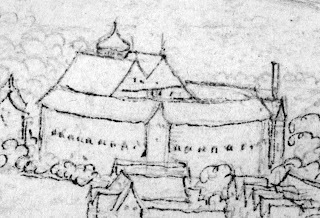 Tim Fitzpatrick, along with Russell Emerson, has done extensive work on what the second Globe Theatre would have actually looked like. This work is focussed on the only existing depiction of the Globe that we have today, a 19mm wide sketch which features in a larger engraving plan by Wenceslaus Hollar. Ref: Wenceslaus Hollar, A View from St. Mary's, Southwark, Looking Towards Westminster, c1638, Paul Mellon Collection, Yale Center for British Art, Yale University, B1977.14.5548. 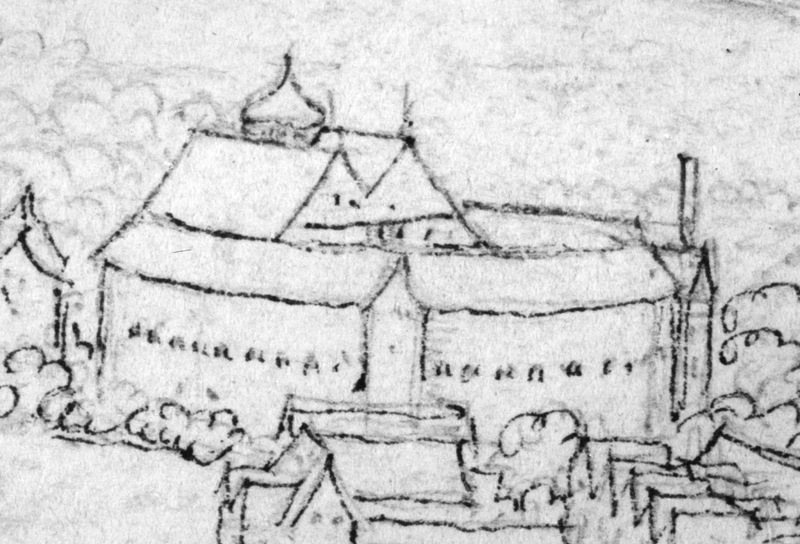 Tim shared in his talk the ways that he and Russell were able to take this tiny drawing and use it, alongside archaeology and the Fortune Theatre contract which briefly mentions the theatre, to create a model of the Globe with strong evidence behind it. These plans and models are then what the Pop-up Globe team have used to recreate the second Globe in Auckland. Ref: A recent photographic enlargement of Hollar's drawing of the Globe. More information can be found on the Pop-up Globe website and in the paper published by Tim on the subject. Auckland Art Gallery also has an extensive collection of Wenceslaus Hollar’s work which is all available online. Our final event in the In conversation series will be Shock of the old on 24 March from 5-6:30pm. Featuring a number of actors from the Pop-up Globe cast this will provide a rare insight into the actor’s experiences of presenting Shakespeare in an Elizabethan open-air amphitheatre. Keep an eye out for our Shakespeare celebration evening in April too. Put on in conjunction with the Auckland Library Heritage Trust this will be an evening to celebrate Shakespeare, with readings, talks and music. We look forward to seeing you at these events and at our newly opened exhibition, Shakespeare in his time, which is running from 11 March to 19 June in the Sir George Grey Special Collections exhibition room.